Lauren Mayo-Abrams is the founding member of the Law Offices of Lauren Abrams. She has been exclusively protecting the rights of employees since 1998. Ms Abrams received her J. D. from the University of Southern California, her B. A. from University of California at Los Angeles, and her Masters in Communications from University of Southern California. Ms. Abrams specializes in all aspects of employment litigation. She has won numerous trials, has been heard on KNX business hour, ABC News, Good Morning America and has received verdicts and settlements totaling many many millions of dollars. Ms. Abrams represents employees and their rights in the workplace – as well as upon termination. She has authored articles on the rights of workers and been quoted in various media. 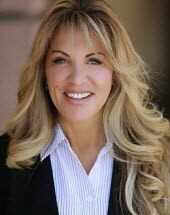 She practices in the areas of wrongful termination, whistleblower and retaliation, class action lawsuits, protected leaves of absences, disability discrimination, pregnancy discrimination, race and/or age discrimination, national origin discrimination, racial harassment, sexual harassment, wage and hour violations and civil rights cases. Ms. Abrams is a member of the California Employment Lawyers Assn., the National Employment Lawyers Assn., and Women’s Law Assn. Of Los Angeles, Consumer Attorneys Assn of Los Angeles, Los Angeles County Bar Assn. Employment Section, State Bar of California Employment Section. Lauren Abrams goes to bat for those who are wronged in the workplace, and turn to her for a voice, another chance at the plate.